After months of hard work and planning it’s finally here. Today we launch our exciting new breakfast range and here at Vital land we are all extremely proud and at the same time hugely excited and the potential. Breakfast has never been a strong day part for us and we have high hopes that this product range will turn things around for us. 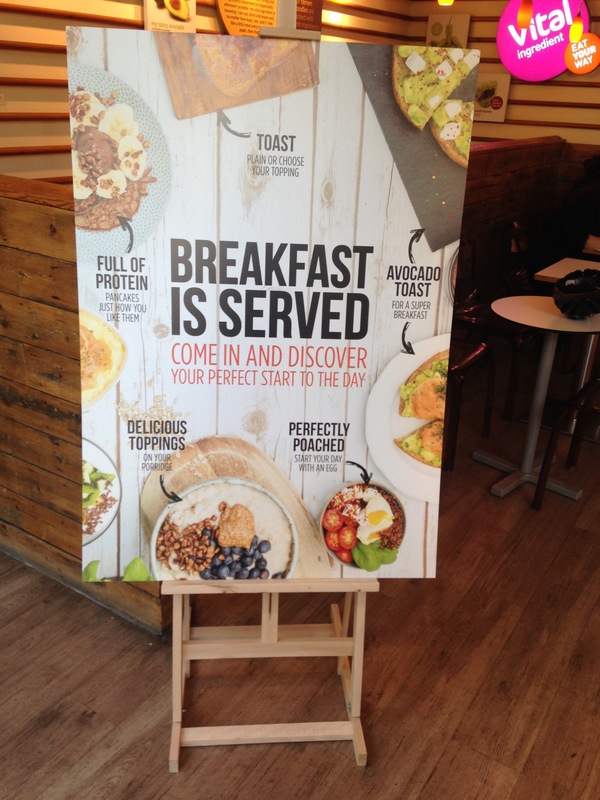 We have kept some old favourites such as our breakfast bowls, smoothies and egg pots (now in boxes) but given then a refresh. Added some new for us products such as scrambled eggs and Acai bowls and protein pancakes which are new to market. We have made every single product as customisable as possible and also introduced a bacon buttie! We have put a lot of time and effort into training our teams and will have the whole head office out and about this morning to support. Previous What doesn’t kill you etc…. Next Just in case you missed my last update….